Good Morning Gang! 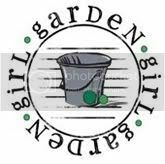 Gardeners' Digest is a monthly update from the Garden Girls, the design team at Two Peas in a Bucket. You will be seeing this post on or around the 22nd of each month! First up is a project I had go live in the Garden this past week. It features Little Yellow Bicycle Winter Twig. For awhile I have gotten away from doing a layout on crisp white cardstock. It's such a nice change and perfect to spotlight the bright blues in this line. And here is a little sneaky peek of an upcoming project! Finally scrapping some preggo shots. While browsing the gallery this week I found a sweet mini that I simply loved! I wish the Pea Neroliskye had posted more inside photos. I would love to see it all! I also really loved this double page layout by Lisa Goren. I love the super bright colors and such sweet photos of her little one. Jenni Bowlin's new punches by Fiskars. Who doesn't have a punch fetish? The tab is by far my favorite! Now for the the good part! I'm giving away a gift card to Two Peas! So leave me a message and let me know what you have your eye on for the upcoming CHA releases! **winner will be posted on Friday 1/27** Next up on the blog hop is Jill Sprott! Well it's late Friday and I meant to share this earlier today, but I have been sick bleh! I made this banner for my cousin Rob and his wife Crystal. They are expecting their first baby girl here very soon! I used all kinds of goodies on this (supplies at the bottom) the paper is Paper Heart by Crate Paper. While a Valentines line the colors matched her nursery bedding perfectly! I've been hoarding this two large Jenni Bowlin butterflies for SO LONG! They were perfect for this project. I used the new Maya Road heart bottle caps for this pennant. I turned this upside down and attached them with adhesive foam. Amy Tangerine, Sketchbook BLOG HOP! Hi gang! 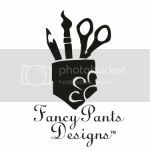 I am here today to share with you the latest and greatest from Amy Tangerine and American Crafts. Vibrant colors drip off the page in the latest Amy Tangerine collection, Sketchbook. Featuring hand-drawn details and a bold watercolor effect, Sketchbook bursts with eclectic goodness for your everyday projects. Splash some color on life. To join in the fun visit Paige's blog next to see the peek! Once you have seen all the photos, go to the American Crafts blog and leave a comment about which of the products you're most excited about, and be entered to win the entire Sketchbook collection. Enjoy and good luck! I was meaning to do this post last week, but I was thinking a baby post might be more enjoyable no? :) So I just wanted to share my top 11 projects of 2011. I had a good year of fun stuff. I hope you enjoyed them too! 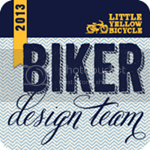 Little Yellow Bicycle + Ice Skates! Yes you heard right! Team Chez is going to be welcoming another girl into the family! We have known it could possibly be a girl for a bit, but didn't want to share until it was confirmed at our 20 week ultrasound. Tori got to come with us and she was just so darn excited that she is going to have a little sister! I am excited too because the whole Chesnick family is boys! Tori, my Sister and I set up my registry before the holidays and so now it's ok to share the theme of the room! The bedding is from The Land of Nod. It is SO adorable! we have not started yet on getting the babies room done, oy! We've been busy this past week remodeling our kitchen. Next up is babies room. I can't decide which color to paint just yet. It's going to be such a fun project! So if you have been reading my blog for a few years now you have followed the trials and tibulations of living in a small space! Our kitchen was one of the last rooms in the house that we had not properly tackled. It seems some changes since we moved in 5 years ago, but nothing like we did this past week. Things really needed to get done before baby otherwise I was concerned it would never get done and I would be stuck with the god awful kitchen forever. So the big goal was new base cabniets. The way our current room is configured we only had a 24" stove. Which was an upgrade believe it or not from the 20" one we had when we moved in. I can even cook a pizza in it! When we moved in we had no upper cabniets and for a long time we had very long large shelves to hold "stuff" My Mother-in-law scored these uppers for us from a neighbor for FREE whoopie! They will get a facelift! So in order for me to get a full size 30" stove the cabinets needed to be rearranged. That in itself was a seriously challenge. Living in an old house the pipes are cast iron and not movable. Oy! In the end we got it worked out. I don't feel I lost that much counter space (even though I did!) because we got to move the sink over to make the space I do have much bigger. After everything was installed I spent the day putting on ohhh I think 6 coats of white on the cabinets and patching up the walls for new paint! Not to worry, latex paint is fine for preggo chicks with good air flow. I being the sweaty mess that I am had the back door open all day even though it was only ohh 32 degrees. Alright, while not the total finished product this is the home stretch. I painted and did some finishing. The floor is actually done since the pic! Bill is going to install the molding and the panel for behind the stove this weekend. Now the hard part: The stove is not being replaced until Feb! NOOOOOOOOOOO. Ok well I've waited 5 years, what's another month. When that is done I will take final good shots! I know you were wondering what was on the other side of the room. I've been really stressed about not having enough space for baby. Bill and I don't have a ton of food in the house to space wasn't so much of an issue. I am sure you have figured out that is going to change! So I replaced one of the wire racks with a small pantry. I am debating chalkboard paint on the left side or just buying a chalkboard instead. Thoughts? For the cover I painted the edges and sprinkled pink glitter on. I used Pink Paislee's pixie stix glitter. Man I loved those! For the inside pages I left the backsides empty. This size of this mini is perfect for a 3x3 photo!